Peter Corney's reportage of the founding of Astoria by John Jacob Astor's short-lived Pacific Fur Trade Company in 1811-1812 provides one of the best contemporaneous accounts of how the 200-square-yard compound at Fort George, with its 15-ft.-high pickets and two bastions, became the focal point for the Oregon fur trade. The basic trading guidelines during the Pacific Fur Trade were four beaver for one half-axe or one yard of cloth, two beaver for a hatchet or a yard of cotton, and one beaver for five leaves of well-twisted tobacco. As the North West Company gained ascendancy, the main items given in exchange for pelts were salmon, slaves, coppers, Native tobacco, oolichan, elk hides and potatoes were muskets, blankets, powder shot, red paint, tobacco, beads, buttons, thick brass wire (for bracelets and rings) and ready-made clothing. "Having served my time in the West India trade with Captain Stoddard," Corney writes, he returned to London in August of 1813 and went to work as chief officer for the North West Company, with a crew of 25 men, on the Columbia, newly purchased by the North West Company. Corney proceeded to make eight visits to the Columbia River as well as trips to Monterey, California, Hawaii, British Columbia, Alaska and China. 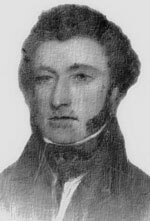 He described the drowning deaths of "Mr. McTavish" and five others on May 22, 1814, and he recorded the murder of a blacksmith and two companions outside Fort George in 1814, as well as the subsequent capture of two alleged Aboriginal perpetrators with the help of Chinook "king Comley" (Concomly). These men were blindfolded and shot. "They were placed opposite a six-pounder, while a party of rifle-men were in the bastion ready to fire through the loop-holes, which manoeuvre was made use of in order to make the Indians believe that they were shot by the great gun. The dead bodies were taken down to the wharf in coffins, and exposed for some days, till their friends were allowed to carry them away." In 1816, Corney observed that Chinook people around the fort had "not the least notion of tilling the ground; they trust to Providence for every thing, and derive their chief support from the river and sea." In 1917, he wrote, "The whole of the settlers do not exceed 150 men, most of whom keep Indian women, who live inside the fort with them. Nearly all the settlers are [French] Canadians. The clerks and partners are Scotch." Corney's journal once more confirms that most of the so-called Americans in the fur trade west of the Rockies were men born in either Canada or Scotland. The English-born Corney developed strong anti-American prejudices about activities on the North West Coast. "I am sorry to say," he wrote, "that the slave trade is carried on, on this coast, to a very great extent by the Americans. They buy slaves to the southward and take them to the northward, where they exchange them for the sea otter and other furs. If they cannot buy the slaves cheap, they make no scruple to carry them off by force." After the Pacific Fur Trade Company sold its interests to the North West Company in 1812, partly as a consequence of the War of 1812, Corney served as first mate for four years on the NWC barque Columbia, an English ship that was sent to conduct trade between the Pacific Northwest and China for the North West Company. (There were at least four different vessels named Columbia in the North Pacific trade during the 19th century.) During his Pacific voyages under Captain Anthony Robson and a Captain Jennings, Corney became familiar with Russian attempts to make a settlement on Kauai and he described Sandwich Islands divers swimming to retrieve pearl oysters at Pearl Harbour in 1818. The Columbia was eventually purchased by King Kamehameha of Hawaii, with whom Corney had become familiar. Corney also served in a piratical fashion under Hypolite Bouchard, the French-born privateer who grew up in Buenos Aires as a militaristic Argentinian nationalist. In Hawaii, Corney joined the crew of the repossessed Argentinian vessel Santa Rosa in 1818, along with a bevy of thiry young Hawaiian women, as part of Bouchard's independent objective to undermine the Spanish navy. Corney and Bouchard visited the Russians at Fort Ross in northern California prior to successfully attacking Spanish California at Monterey harbour. Spanish buildings in Monterey were burned in the hopes that Californians could be encouraged to join with Mexico in revolting against the Spanish Crown. With Corney aboard the Santa Rosa and Bouchard commanding La Argentina, another raid was conducted against Mission San Juan Capistrano. Less than four years later, Alta Californians swore allegiance to the Republic of Mexico. As an old man, Corney married Frances Loder in Cork, Ireland on May 2, 1820. She would survive him by nearly half a century, living from approximately 1800 to 1874, mainly in Hawaii. While serving as Chief Mate on a different Hudson's Bay Company ship called the Columbia, Corney died on August 31, 1835 in the English Channel while accompanying his wife and four children from Gravesend bound to his beloved Hawaii. Despite making several sailings between Fort George and Sitka, Corney provides few details of his landfalls in British Columbia, but his journal does provide one of the most detailed versions of how and why the crew of the Tonquin was slaughtered in June of 1811 near Clayoquot Sound. He personally observed the wreckage not long after the incident and recorded its location as being close to Queenex Rocks, Nasparti Inlet, on the south edge of Cape Cook or Brooks Peninsula, Vancouver Island. This is the only specific literary reference to its possible location. Peter Corney first published his serialized overview of North Pacific fur trading in The London Literary Gazette, August 4-October 6, 1821. The editors wrote, "He relates facts in a plain sailor-like style; and we shall be disappointed if his round unvarnished tale does not give as much satisfaction as the most elaborate work of any learned traveller." An abridged Russian version also appeared in periodical format in 1822-1823. Corney correctly forewarned that Britain must not be complacent about maintaining its dominance in Oregon over the Americans, he strongly urged Britain to seek control of Hawaii for strategic trading purposes, and he simultaneously declared "The fur trade is now totally in the power of the Americans" in reference to the Pacific Northwest. Corney's writing provided momentum to British expansionists who hoped to implement the long-range plans of Dalrymple and Mackenzie in terms of expanding to Asia. In the same year his journal appeared in England, the final shipment of furs from Columbia to Canton for the newly-dissolved North West Company resulted in a profit of 12,000 pounds for the Hudson's Bay Company, lending credence to his words. Corney's observations were reprinted in Hawaii in 1896, then reissued by Ye Galleon Press in 1965 with 73 pages of research by Glen C. Adams. Its frontispiece in 1965 is a portrait of Peter Corney. Corney, Peter. Voyages in the Northern Pacific; Narrative of Several Trading Voyages from 1813 to 1818 Between the Northwest Coast of America, the Hawaiian Islands and China, with a Description of the Russian Establishments on the Northwest Coast: Early Account of Kamehameha's Realm; Manners and Customs of the People, etc, and Sketch of a Cruise in the Service of the Independents of South America in 1819, with a Preface and Appendix of Valuable Confirmatory Letters Prepared by Prof. W.D. Alexander (Honolulu: Thos. G. Thrum, 1896). Corney, Peter. Early Voyages in the North Pacific (Ye Galleon Press, 1965). [BCBW 2005] "English" "Forts and Fur" "1800-1850"